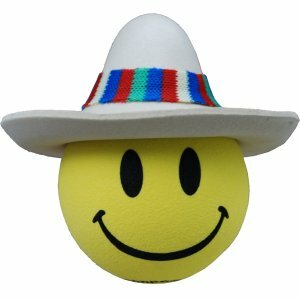 Smiley Sombrero - only 1 left! Spot your car easily! Our Smiley Sombrero Guy can be pushed onto your aerial to help you find your car in the car park or purchase a spring separately to turn him into a Wobbler for your desk/dashboard. This Topper is approx 4cm across and is made of high density foam.